We have constructed a unique time-resolved cathodoluminescence (CL) microscope in which picosecond electron pulses create optical excitations at 10 nm spatial resolution. The 30 keV electron source is driven by 250 fs laser pulses, enabling picosecond CL pump-probe spectroscopy: samples can be optically excited and probed with CL, or excited with electrons and probed with laser excitation. We will use this new instrument to study ultrafast dynamics in 2D materials, plasmonic and dielectric metamaterials, hot carrier processes, coherent optical spectroscopy, and more. We will also explore how electron wavefunctions in a SEM can be tailored by interaction with suitably tailored optical near fields in nanophotonic geometries. The SEM-CL microscope is then operated as a quantum instrument in which initial electron states are entangled with materials excitations. You need to meet the requirements for a doctors-degree and must have research experience in a non-Dutch academic environment. The position is intended as full-time (40 hours / week, 12 months / year) appointment in the service of the Netherlands Foundation for Scientific Research Institutes (NWO-I) for the duration of 3 years. Do you come from abroad? 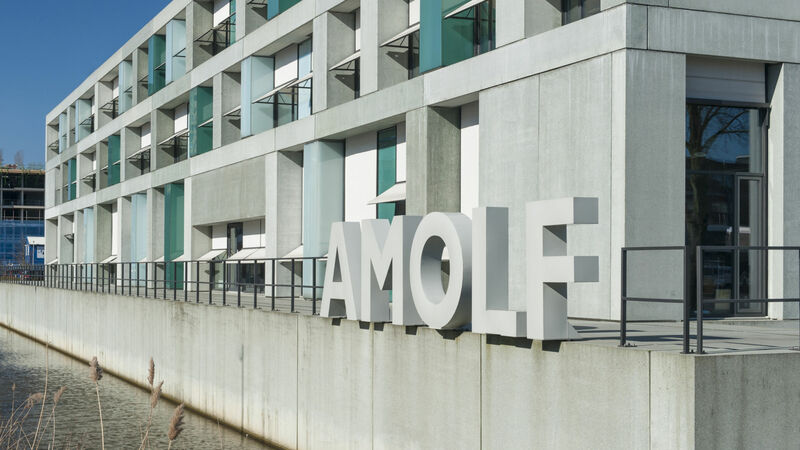 AMOLF will assist you with visa applications and compensate your transport costs and furnishing expenses. – Motivation on why you want to join the group (max. 1 page). It is important to us to know why you want to join our team. This means that we will only consider your application if it entails your motivation letter.